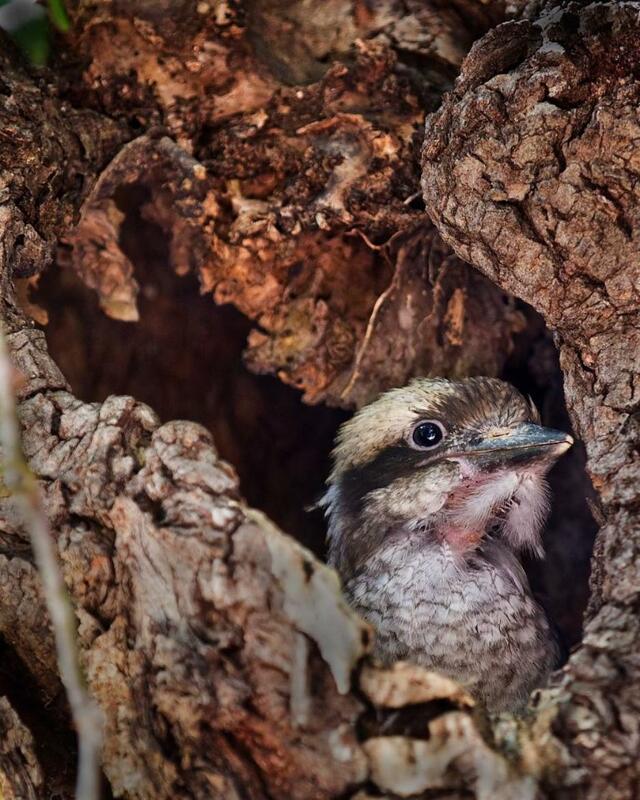 This article completes the recording of the early stages of life of kookaburra babies in a nest at Newport. 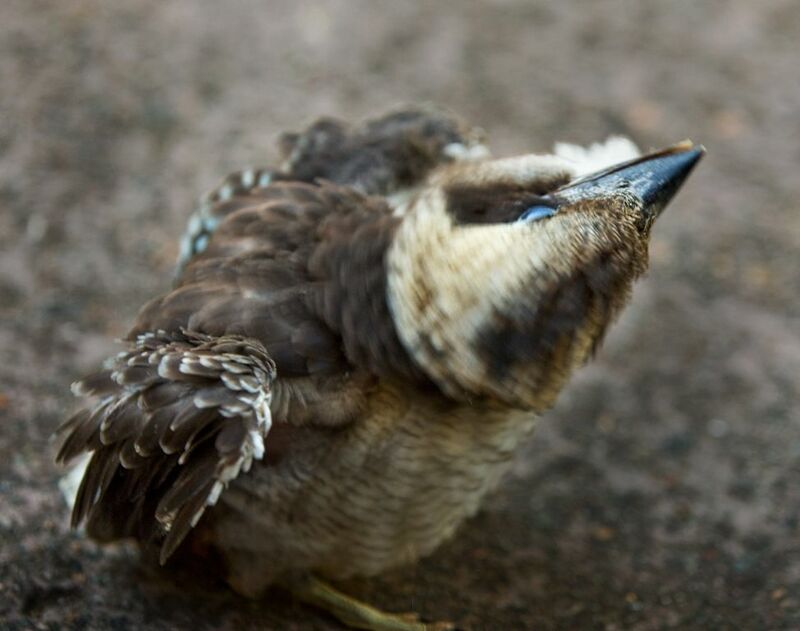 Images are by Ray Chappelow, a Pittwater Camera Club member and photography enthusiast. 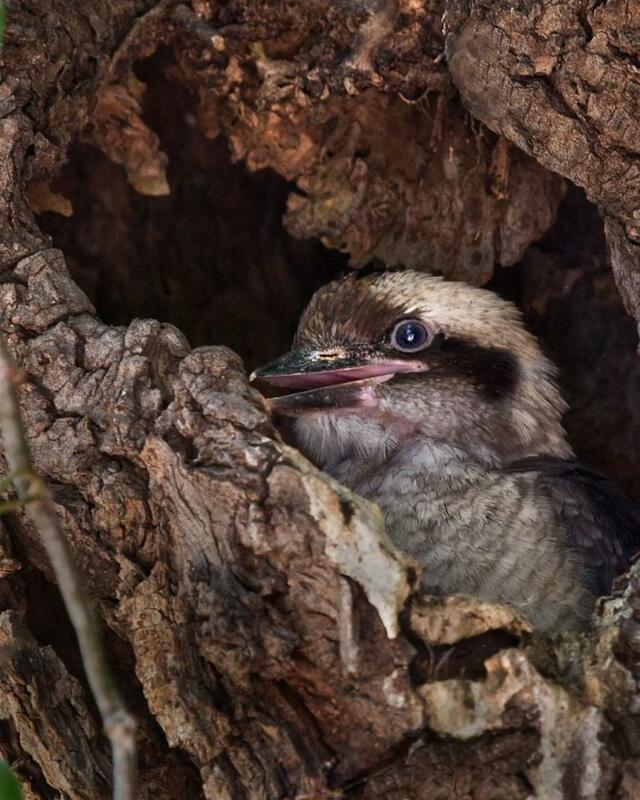 Ray has recorded the images in the articles on the kookaburra babies’ progress from just hatched until the images of this five week old baby which left the nest just moments before. The first baby left the nest the day before and the third baby (shown still in the nest) left the day after these images were recorded. 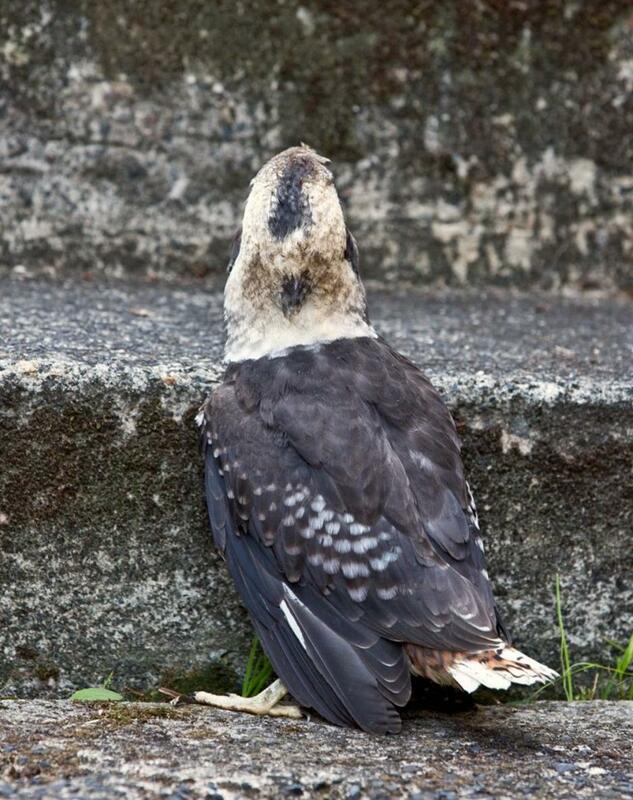 On leaving the nest the babies are not able to fly more than a few metres and are prone to attack by cats and other predators. At the same time even at this age the babies are quite aggressive and would repel most attackers. 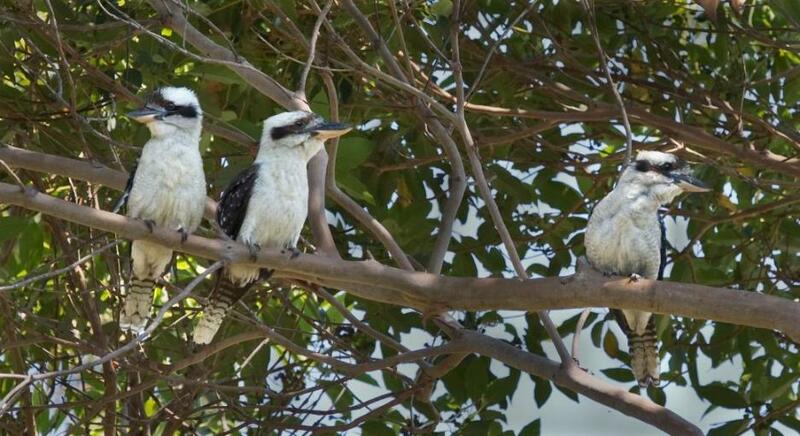 It is unusual for kookaburras to have three babies and for all to survive. The Newport family has become involved and followed the babies’ progress daily. 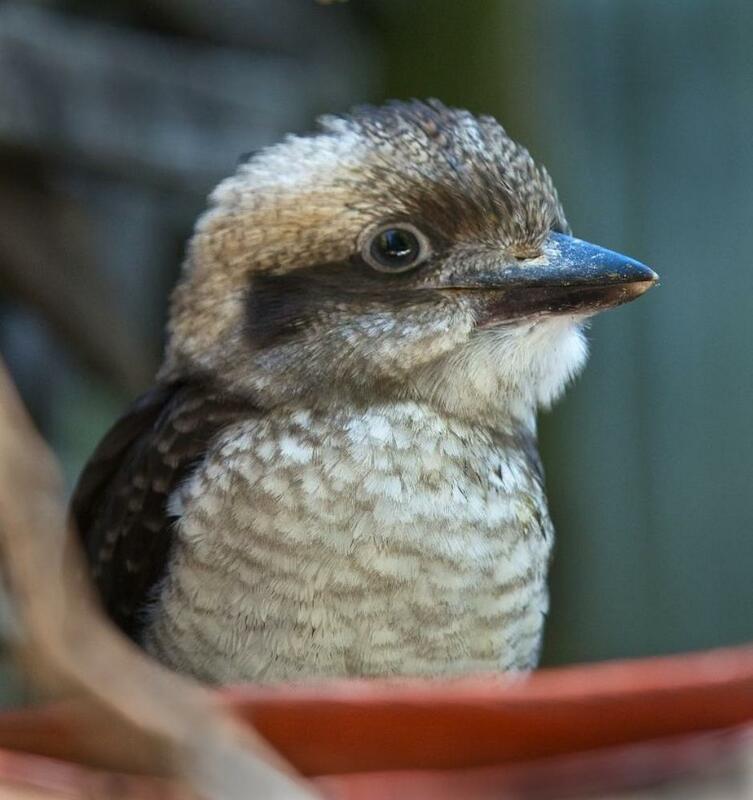 They are intrigued to observe the varied supply of insects, reptiles and animals brought to the babies by the adult kookaburra community. Now that the babies have moved away the family feels like ‘empty nesters’. It has been a wonderful experience for the children and for all involved to experience the early stages in the life of this iconic bird. These images record the babies at 5 weeks old. Last look back at the nest. 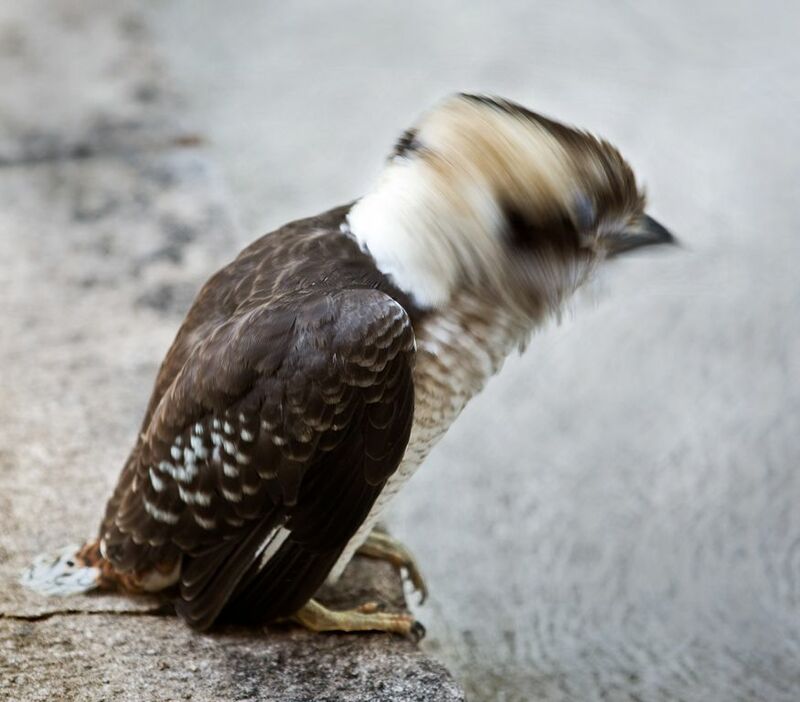 It makes your head spin. The last of the three babies - still in the nest. It left safely the next day. 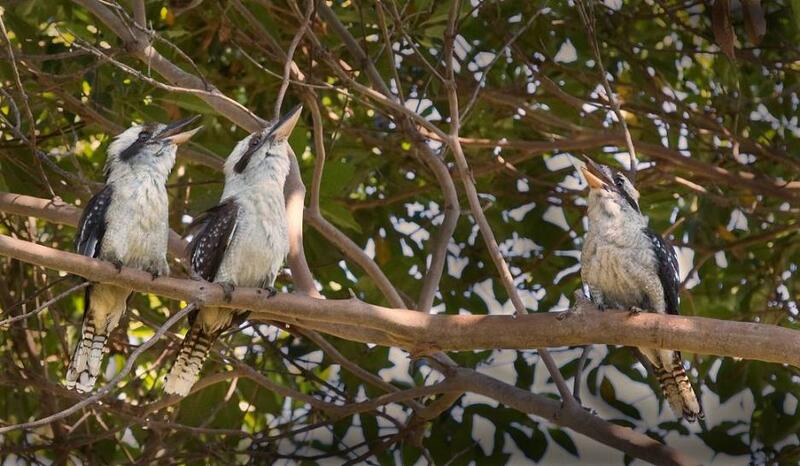 Last in the nest – calling the parents for food. The adult community singing “Aren’t we Clever". The adult community keeps a watchful eye on the nest. 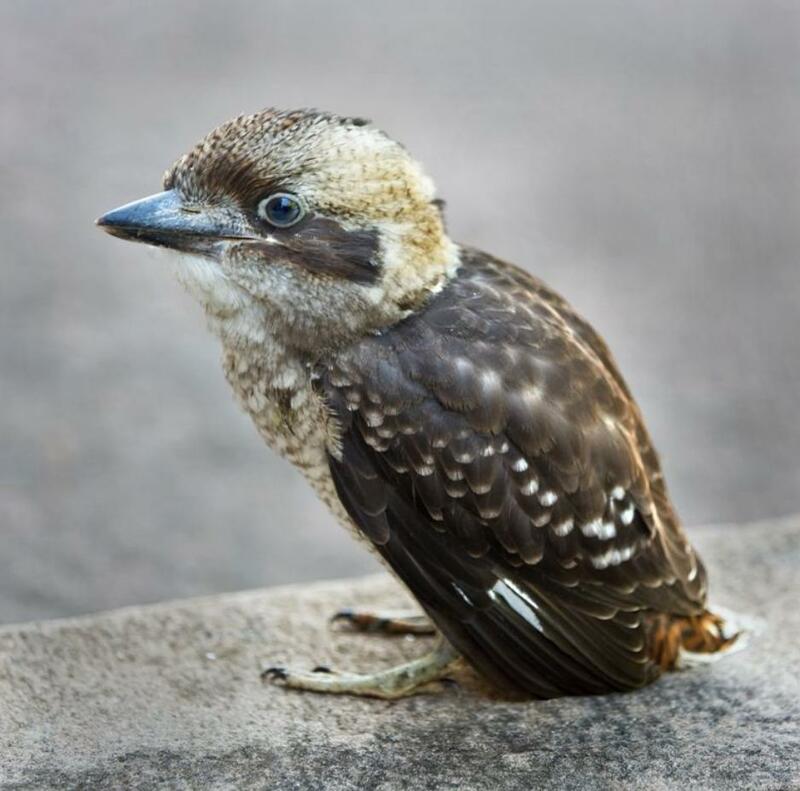 The baby kookaburra gets ready to take the steps. Copyright text and images by Ray Chappelow - 2014.